Although I didn’t go back to school this September, I always consider this month as a New Year. It’s a fresh start and I start to get organized for the months ahead. Because of this, it’s also a stressful month and I always seem to take on more than I can handle, which does a number on both my skin and body. I get unruly breakouts and am constantly looking for new products to battle my blemishes. Dermalogica allows you to put your best face forward with their Clear Start Collection, designed for young adult skin. It’s formulated with blemish-fighting ingredients and soothing botanicals to help reduce bacteria, control oil, and clear up breakouts. 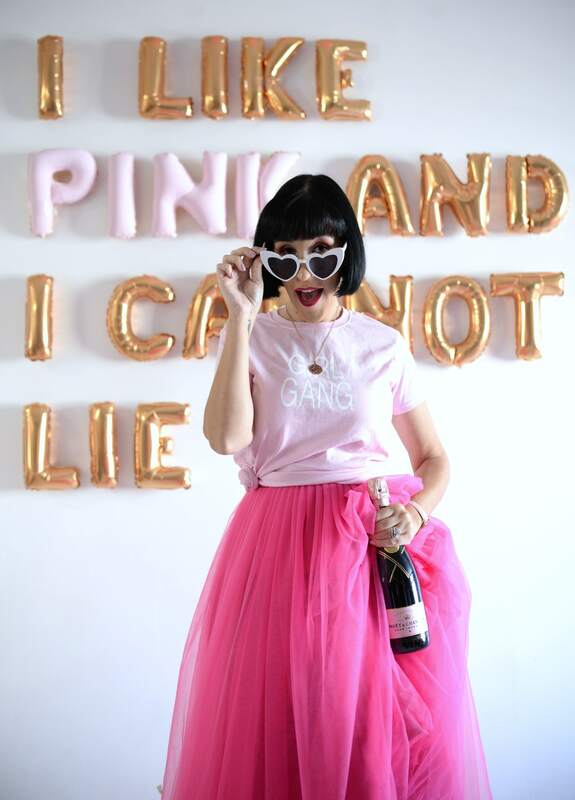 Although the lineup consists of a Cleansing Foaming Wash, Pore Cleansing Scrub, All Over Toner, Daytime Treatment, Matte Moisturizer, Cooling Masque, Hydrating Lotion and Overnight Treatment, I’ve actually only introduced the Emergency Fix into my current Paula’s Choice Skin Care routine to help control future breakouts. 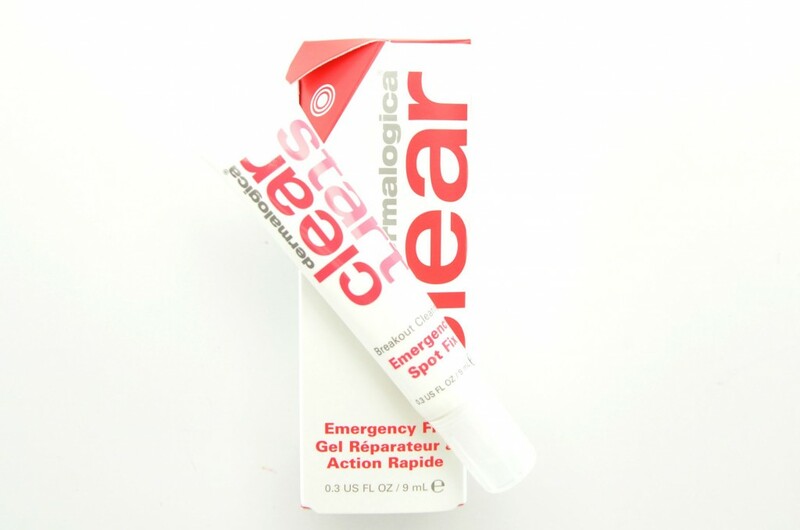 Dermalogica Emergency Fix is a powerful concentrated gel that applies directly onto individual breakouts to instantly penetrate deep within the pore to clear up the breakout fast and effectively. It’s formulated with anti-acne ingredient, 5% benzoyl peroxide that helps to disinfect and kill acne-causing bacteria in its tracks. It also contains seven gentle botanicals including camellia, sinensis, lavender and tea tree to help calm irritation and redness. Dermalogica Emergency Fix is quite a genius little product. 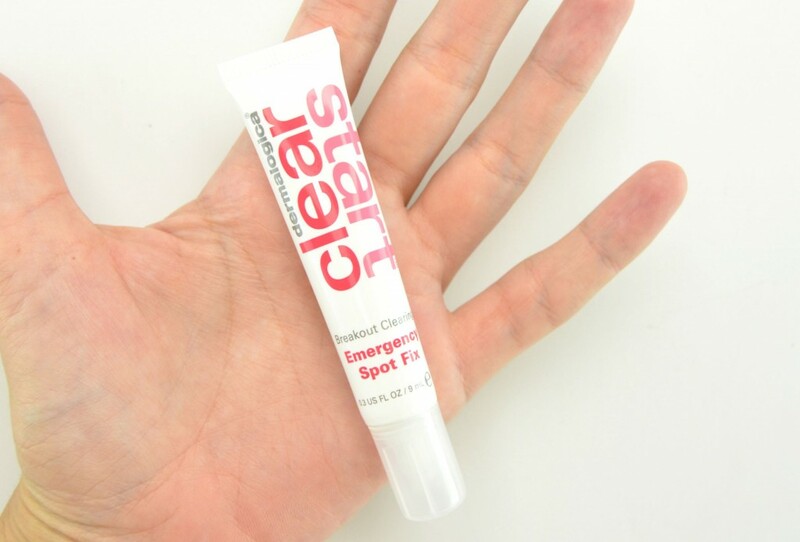 This pocket size spot fixer tackles pimples right when they occur, anytime and anywhere. I apply a small amount of this gel treatment cream directly onto my breakouts, every 8 hours, or until the breakout is completely gone. It instantly reduces redness and swollenness, while calming and soothing the breakout. The second I apply it, the powder gel goes to work and helps to dissolve surface oil on my skin. I can immediately feel it working, without the drying effects that other blemish treatments can cause. If you’re someone who battles ongoing breakouts, you will notice dryer skin around where you applied the spot treatment, whereas those people with occasional breakouts probably won’t notice a change in skin texture. As tempted as I am to apply all over my entire face, I limited it to only infected areas, for fear it will start to dry my skin out. I usually apply a small amount both day and night and usually within 2 to 3 days the blemish is completely gone. 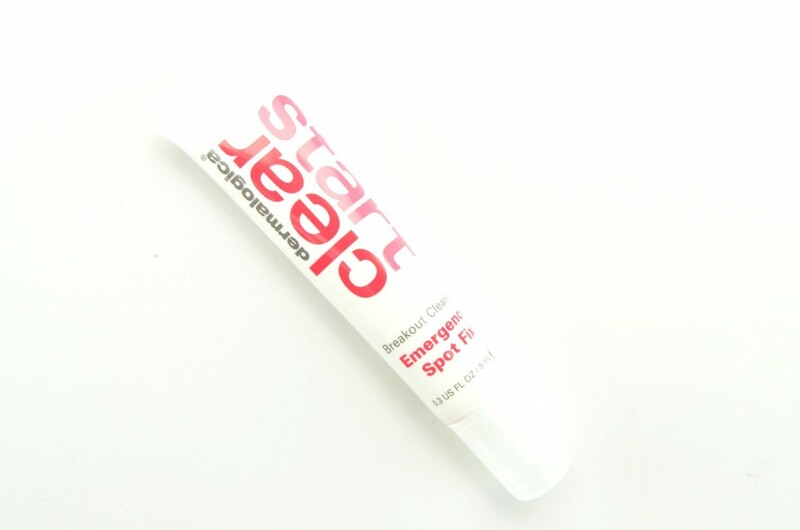 Dermalogica Emergency Fix is a great little product for those that get nasty little pimples every once in a while. If you suffer from severe acne on a daily basis, I don’t really think this product is for you. You’re best to figure out what is causing your acne and tackle it at the beginning, ie with your cleanser and toner. I would totally recommend having this on hand at all times, you never know when a pesky little breakout is going to occur. It retails for $22 for 9ml.